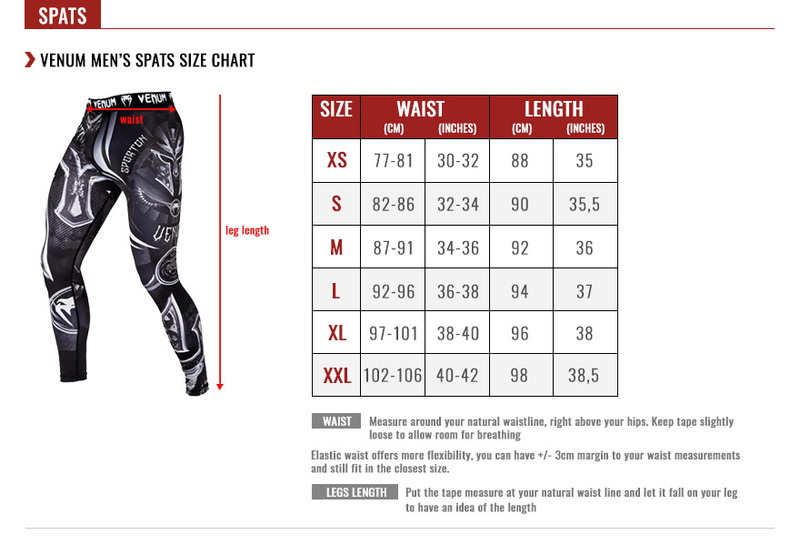 The Venum Dragon's Flight compression pants are specially designed for all types of intensive training. Its main feature is to provide active compression to the hamstrings and calves to facilitate circulation. Designed with a body-hugging fit made from spandex, the pants adapt to your body and allows for smooth movements and transitions. The design is worked with a Dragon's head on the left leg and another on the right leg. MATERIALS: 87% Polyester - 13% Elastane. Internal and external smooth seams to prevent chafing. Design: Sublimation printing for maximum durability.